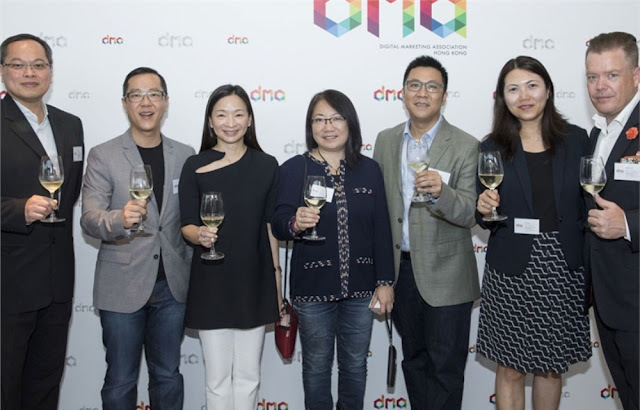 Founding members of Digital Marketing Association of Hong Kong (L-R): Rico Chan, Yahoo VP and GM, Hong Kong, India & Southeast Asia, sales; Kevin Huang, Pixels CEO; Elsie Cheung, SCMP COO; Mai Wah Cheung, Next Digital group chief information officer and chief technology officer; Victor Cheng, ComScore VP, North Asia; Anita Lam, head of FMCG and Retail, Greater China, Facebook; Lars Bratsberg, industry leader, agency, Google. Seven of Hong Kong’s largest digital players have come together to form the Digital Marketing Association of Hong Kong. Among the founding members are Pixels, ComScore, Facebook, Google, Next Digital, South China Morning Post, and Yahoo! 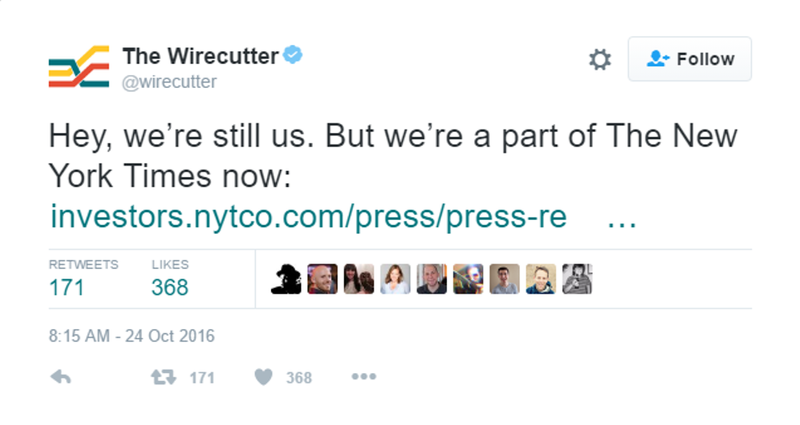 It was Pixels along with two other companies who first initiated the idea of having an advertising industry body. They saw the need for setting standards and measurements for digital marketing and growing its talent pool. Moreover, they wanted to establish a Hong Kong chapter of the Interactive Advertising Bureau. Along with the seven founders, the association now has a pool of 36 members composed of agencies, and several brands such as HSBC, Standard Chartered, and Expedia. 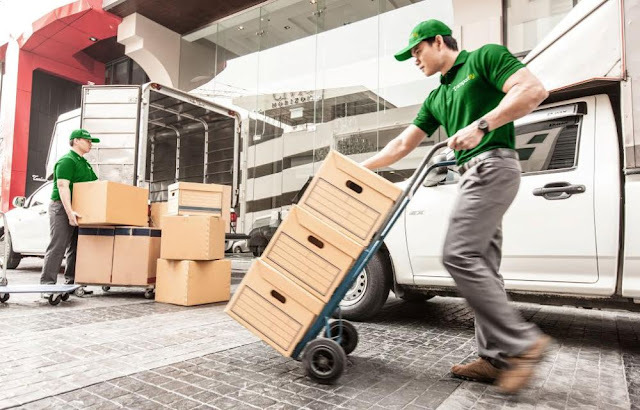 DMA Hong Kong aims to advance the market by focusing on measurement standards and training. In the new devices, developed by engineers at the Georgia Institute of Technology, the carbon nanotubes act as antennas to capture light from the sun or other sources. As the waves of light hit the nanotube antennas, they create an oscillating charge that moves through rectifier devices attached to them. The rectifiers switch on and off at record high petahertz speeds, creating a small direct current. Billions of rectennas in an array can produce significant current, though the efficiency of the devices demonstrated so far remains below one percent. The researchers hope to boost that output through optimization techniques, and believe that a rectenna with commercial potential may be available within a year. 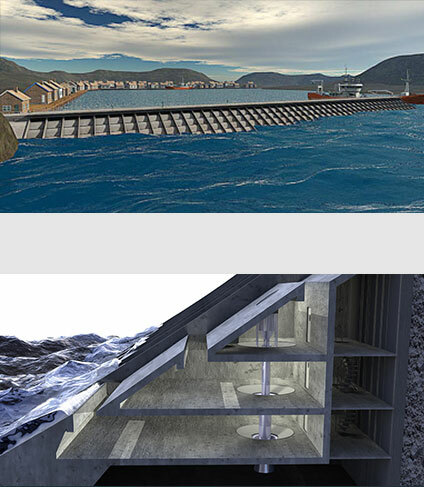 The research, supported by the Defense Advanced Research Projects Agency (DARPA), the Space and Naval Warfare (SPAWAR) Systems Center and the Army Research Office (ARO), was reported September 28 in the journal Nature Nanotechnology. Developed in the 1960s and 1970s, rectennas have operated at wavelengths as short as ten microns, but for more than 40 years researchers have been attempting to make devices at optical wavelengths. There were many challenges: making the antennas small enough to couple optical wavelengths, and fabricating a matching rectifier diode small enough and able to operate fast enough to capture the electromagnetic wave oscillations. But the potential of high efficiency and low cost kept scientists working on the technology. Using metallic multiwall carbon nanotubes and nanoscale fabrication techniques, Cola and collaborators Asha Sharma, Virendra Singh and Thomas Bougher constructed devices that utilize the wave nature of light rather than its particle nature. They also used a long series of tests – and more than a thousand devices – to verify measurements of both current and voltage to confirm the existence of rectenna functions that had been predicted theoretically. The devices operated at a range of temperatures from 5 to 77 degrees Celsius. Fabricating the rectennas begins with growing forests of vertically-aligned carbon nanotubes on a conductive substrate. Using atomic layer chemical vapor deposition, the nanotubes are coated with an aluminum oxide material to insulate them. Finally, physical vapor deposition is used to deposit optically-transparent thin layers of calcium then aluminum metals atop the nanotube forest. 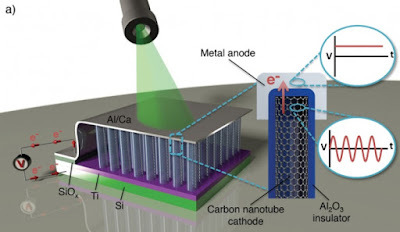 The difference of work functions between the nanotubes and the calcium provides a potential of about two electron volts, enough to drive electrons out of the carbon nanotube antennas when they are excited by light. In operation, oscillating waves of light pass through the transparent calcium-aluminum electrode and interact with the nanotubes. The metal-insulator-metal junctions at the nanotube tips serve as rectifiers switching on and off at femtosecond intervals, allowing electrons generated by the antenna to flow one way into the top electrode. Ultra-low capacitance, on the order of a few attofarads, enables the 10-nanometer diameter diode to operate at these exceptional frequencies. The rectennas fabricated by Cola’s group are grown on rigid substrates, but the goal is to grow them on a foil or other material that would produce flexible solar cells or photodetectors. Cola sees the rectennas built so far as simple proof of principle. 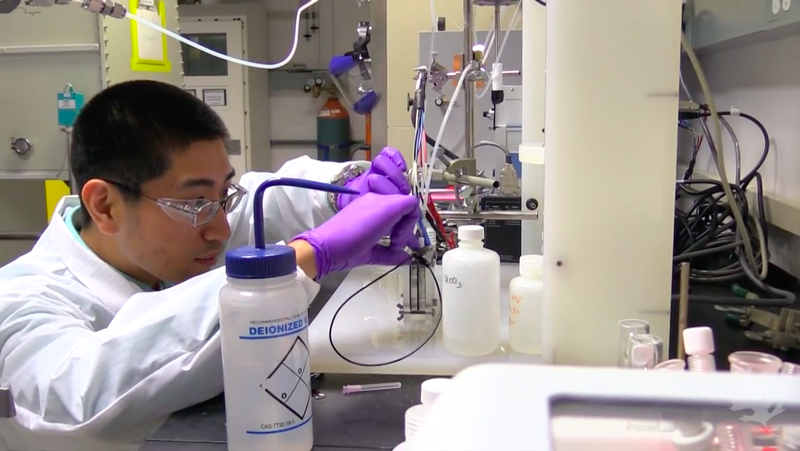 He has ideas for how to improve the efficiency by changing the materials, opening the carbon nanotubes to allow multiple conduction channels, and reducing resistance in the structures. Open Collaboration With East Asia New Champions (OCEAN) is a convention occurring every two years in the Philippines which gathers leaders from different domains “to connect, discover new ideas, and shape a more creative and innovative future together”. 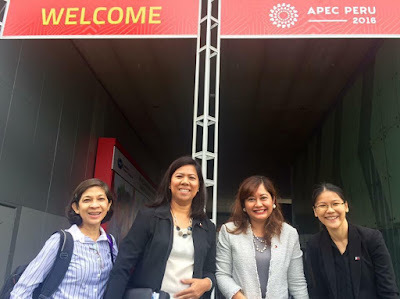 According to Micaela Beltran, the Executive Director of OCEAN 16, the biennial gathering was initiated back in 2014 when the World Economic Forum held its Southeast Asia conference in the Philippines for the first time. 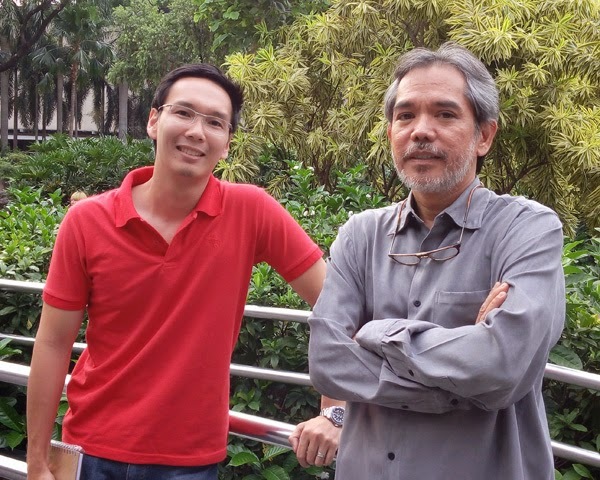 “At that time, we discussed how the Philippines is no longer the 'Sick Man of Asia' and economic progress is finally coming", said Beltran. Further, she mentioned that the main question in the minds of the Filipino leaders of the World Economic Forum is “How can we ensure that Economic Prosperity becomes inclusive?”. One of the people behind making these aspirations into reality is Winston Damarillo. He has been the core driver and convener of OCEAN since it was just an idea. The mission of OCEAN is to become a convener of global leaders and shapers that will serve as catalysts for innovation in the Philippines. This year, OCEAN is taking a step further by leading several initiatives that will live beyond the conference. The summit is geared towards harnessing technological advancements with the talents and resources of entrepreneurs and creative leaders. In a nutshell, OCEAN 16 is preparing the creative genius in the country to pursue ASEAN success in the upcoming 4th industrial revolution. 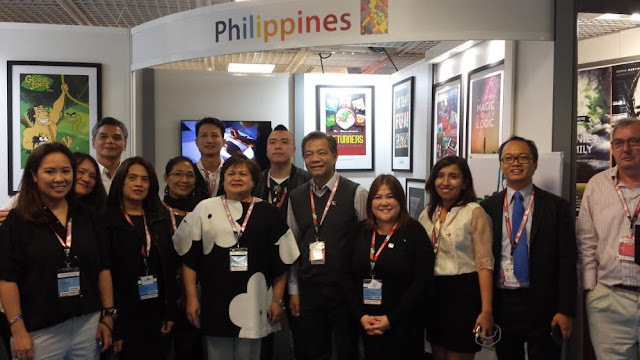 One of their initiatives is building a more “Digital Bohol”. 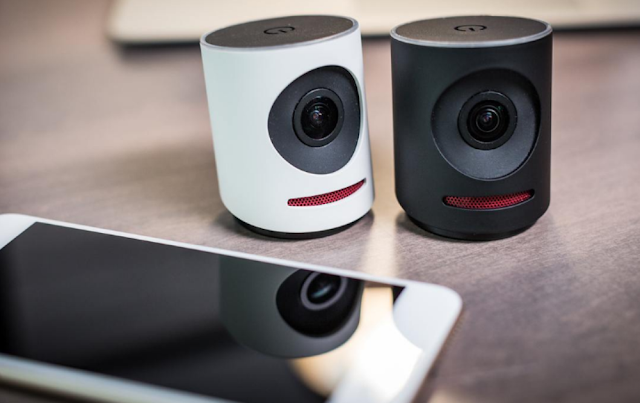 The organization has been working to build a digital central for entrepreneurs and creative leaders, and to strengthen resilience against disaster through mesh chat networks like FireChat. Consequently, they bring together community organizers, particularly the youth, who can sustain these programs after the summit in November. 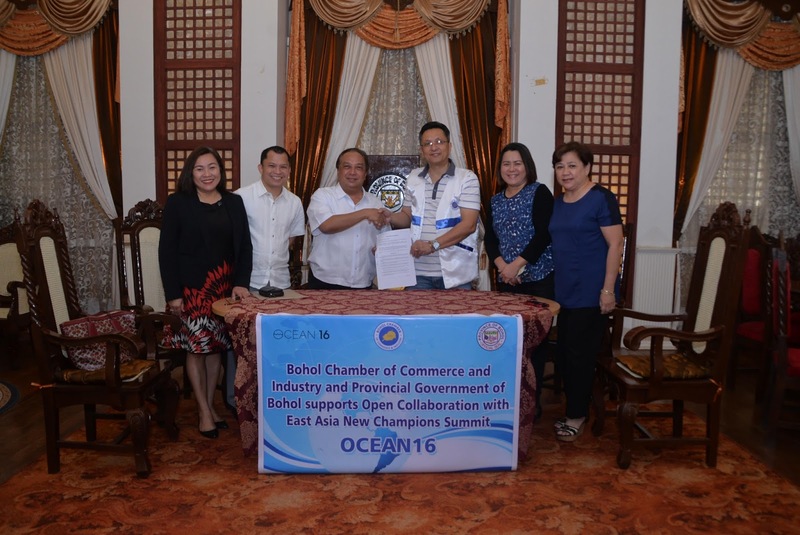 The Provincial Government of Bohol and the Bohol Chamber of Commerce and Industry sign a memorandum of agreement with OCEAN 16 on August 15, as part of a joint initiative for the development of smart cities in the Philippines, starting with Tagbilaran City in Bohol as the pilot and model city. 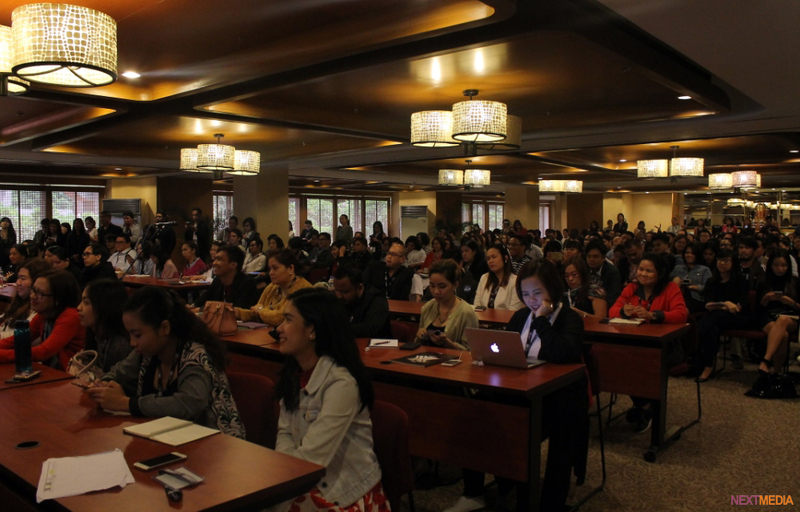 The three-day summit was organized by young and entrepreneurial go-getters; Katrina Bayog, Media & Program Lead; Rexy Josh Dorado, Kaya Collaborative; Angelica Misa, Media Strategy Consultant; Micaela Beltran, Executive Director; and Winston Damarillo, Chief Organizer and Co-Chair. With the help of OCEAN Co-Chairs; Analisa Balares, Sen. Bam Aquino, Richard Dacalos, and Karen Davila, and WEF communities in the Philippines; KAYA Collaborative, World Economic Forum Young Global Leaders, World Economic Forum Global Shapers, and Amihan Global Strategies. For more information regarding the upcoming summit, visit www.ocean16.asia, email info@ocean16.asia or call 0947-813-6401. You may also participate in online discussions by following OCEAN 16 on Twitter, Instagram or Facebook @WEFPHOCEAN. Solutions Using Renewable Energy, Inc (SURE) gave the challenge to the Filipino youth The youth responded. SURE launched a program for 20 college students last September, 2016. The aim was to make the students feel empowered in their quest for sustainable energy solutions. But it was not as easy as that. It was hard but the students who participated barely felt it to be hard. SURE utilized Game Theory in the challenge. On October 8 and 15, 2016, these students realized hot it was to have a concept and how to go about in achieving their projected results with their concepts. 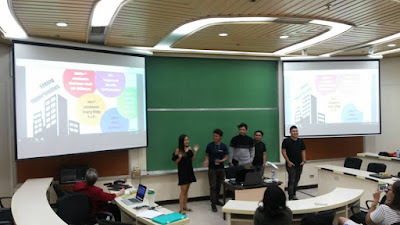 Conducted at the Asian Institute of Management Indonesia Case Room last Oct. 8 and 15, 2016, the workshop consisted of sessions with experts that ranged from filling the transport gaps using the UP experience in Bike Share to creating business models to Design Thinking and Sustainable Design Architecture from Palafox and Associates. The participants came from UP, De La Salle University, TIP and Batangas Colleges. But the endpoint for the first day sessions was a challenge for a business model and implementation for sustainable food business business models. The participants rose to the challenge and designed and implemented sustainable business models. The development and implementations again ranged from Pizza to Rellenong Bangus. 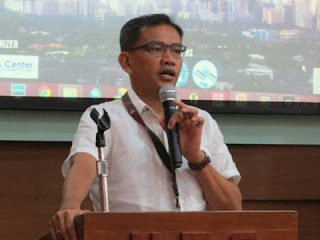 Notwithstanding that these models worked given their profitability and ease of implementation as what was presented in the reports and presentations last October 15, 2016. These presentations and results would put a great many livelihood projects to shame with profitability exceeding a shameful 150%. But the real challenge was further into the day when a real energy challenge was given to the participants, There was only internet for outside resources and real brainstorming was conducted. But the real success of SURE for this Cocoon program has yet to be realized. As such as the participation and brainpower as an indicator, the Cocoon Program showed that the only limits with the youth is that there are no limits to concepts and ideas. The manner that the presentations, formulations and results were presented was refreshing in comparison to other startup presentations. The program is composed of four components: a 2-day workshop, sessions with experts in the industry and startups, a biogas/biomass plant visit, and an internship for a select few. This 10-month program will end on July 31, 2017. Throughout the course of the program, the students will have access to a community of experts and like-minded individuals. Small get-togethers with startups, consultants, and organizations will be arranged every month. Aside from these monthly meetings, a biogas/biomass plant visit will be arranged for the students. The winners of the energy challenge will be known after three months. The only limitation/s given is that they must not raise the dead. 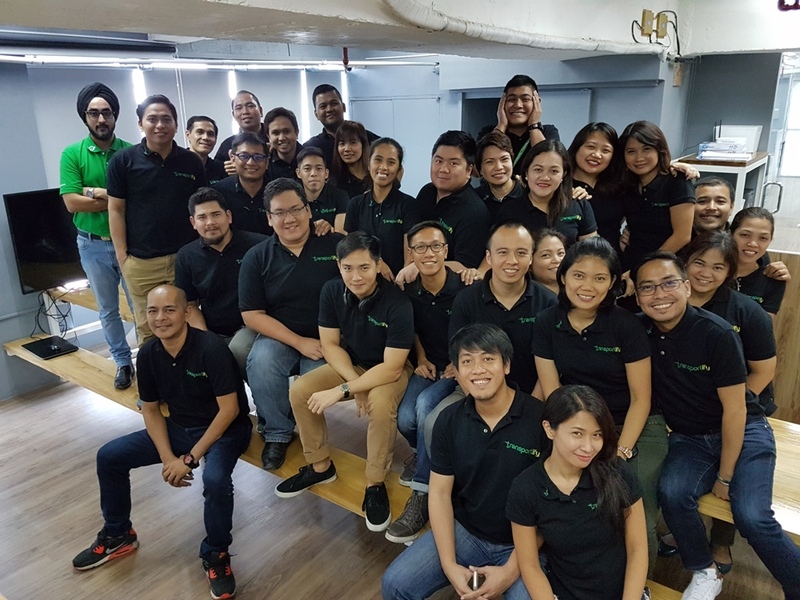 The first weekend of October was lit by a hundred creative sparks from brilliant content creators who became part of the Smart Launchpad, a first-of-its-kind workshop and talent search held last October 7-9 at the First Pacific Leadership Academy in Antipolo. With Samsung and YouTube as partners, Smart provided a valuable platform for these talented individuals to showcase their passions, own it, and take a shot at being the next big YouTube star. The 100 participants, chosen from 1,537 entries from all over the Philippines, got to experience a three-day content creation program with talks from social media experts and experienced YouTube creators. They also had to make their final video entry for a chance to win Samsung gadgets and fly to Los Angeles, California to collaborate with international a capella group and YouTube creator, The Filharmonic. Fidel Antonio Medel, Smart’s Prepaid Brand Manager, welcomed everyone with the idea behind Smart’s #OwnIt campaign and how it believes that the Filipino youth can own their passions and use the Internet and technology to showcase their personality. He was immediately followed by DM9-Digit Managing Partner and Director and Unbox.ph founder and editor-in-chief, Carlo Ople. 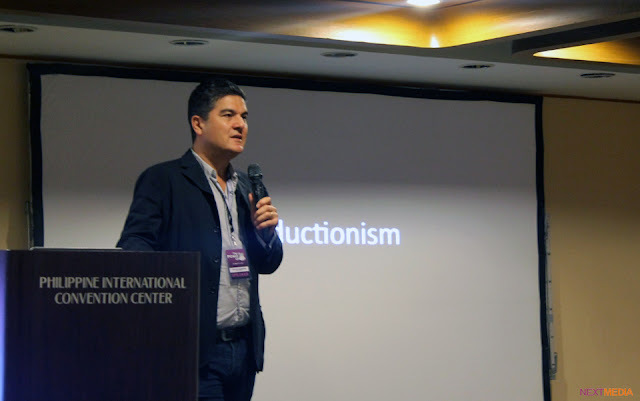 He related his own experiences to the young creators and shared the most important trends for content creation as well as how to work with advertisers and partners. “When you guys really own whatever it is that you are passionate about, it can really change your life,” was his insightful advice at the end of his talk. YouTube Partner Manager, Enrique CuUnjieng, was next on stage to talk about the key areas to focus on as a YouTuber and how to utilize YouTube’s features and analytics in becoming a successful content creator. More than the numbers, he advised the participants to focus on the quality of their content and the way they make their audiences feel. Frank Aldana was the next to talk to the Top 100 about video production, teaching them how to master the different techniques they can use. He said that each one of them is a storyteller and that they should inform, educate, entertain, inspire, or persuade their audiences through their content. The morning of the second day was spent in a question-and-answer panel session with some of the country’s talented YouTube vloggers Michelle Dy, Moira Dela Torre, Paulo Infante, and Nicole Andersson. They each got to share their own stories in building a career as YouTubers with the aspiring participants. They then broke away into small groups, each to their respective niches, to discuss tips, tricks, and techniques in making their videos stand out. 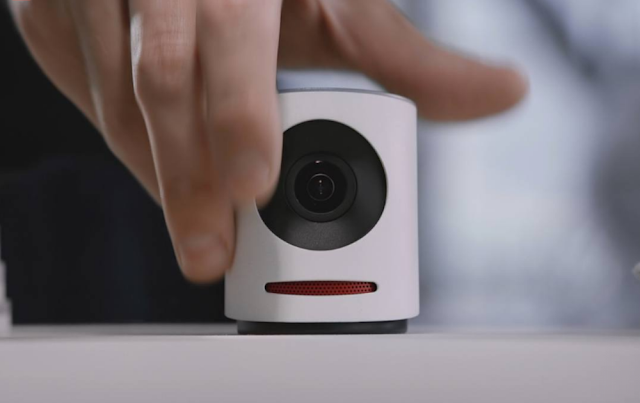 Later in the day, the finalists put everything they have learned to the test and started producing, shooting, and editing their own videos using Samsung gadgets. 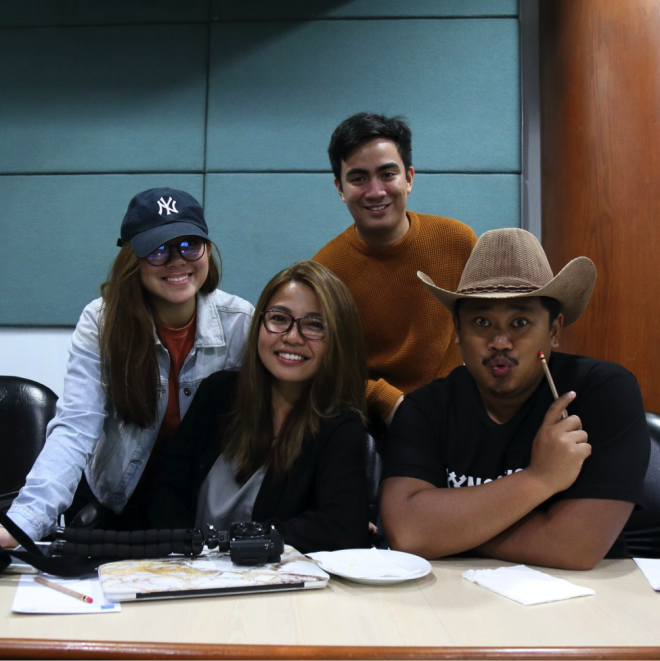 The three grand winners who secured round-trip tickets to LA and took home the cool gadgets from Samsung were singers Lesha Litonjua and MJ Labenia, and makeup vlogger Christopher “Tops” Unay. The country's very first digital congress, the "IMMAP DigiCon, The Power of X: Digital Multiplied", hosted by the Internet and Mobile Marketing Association of the Philippines (IMMAP), promises to be as enlightening and exciting as the first event hosted by IMMAP 10 years ago. "This groundbreaking event will be like no other that IMMAP has hosted in the past - more attendees, more learning tracks and most importantly, an even bigger line-up of speakers who will talk about everything digital in the 21st Century. 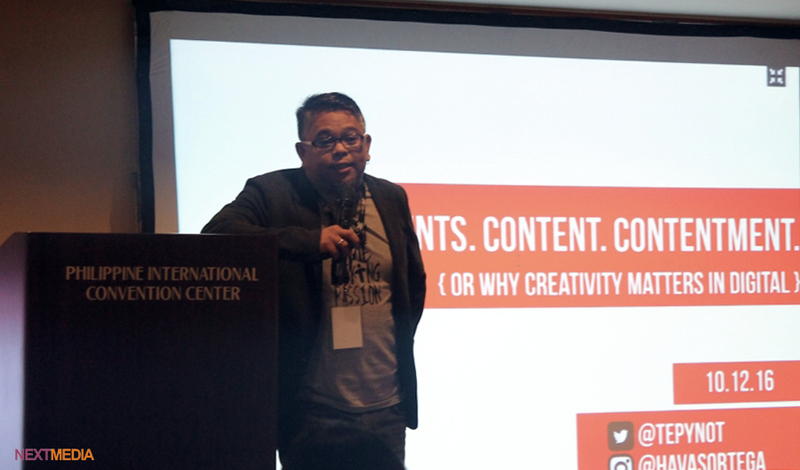 Collectively, they will share their thoughts on this industry that is taking the world by storm", says Donald Lim, Chief Digital Officer of ABS-CBN and touted as the founding father of digital marketing in the country. 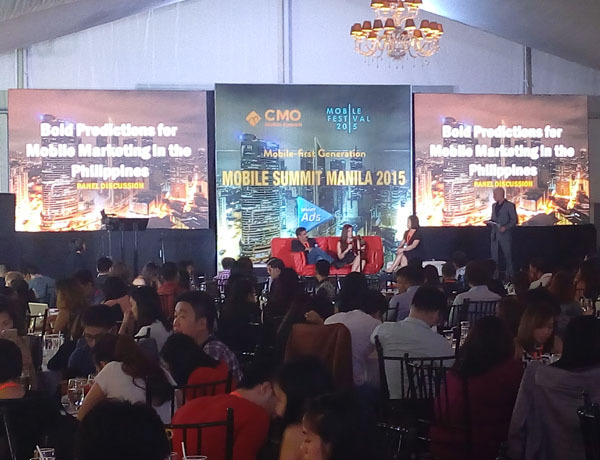 The digital landscape in the Philippines continues to evolve at an unprecedented pace; as such, the congress is the perfect venue for the country's digital marketers to keep in step and to learn from digital marketing experts from all over the world, who will share their knowledge during the 3-day event. 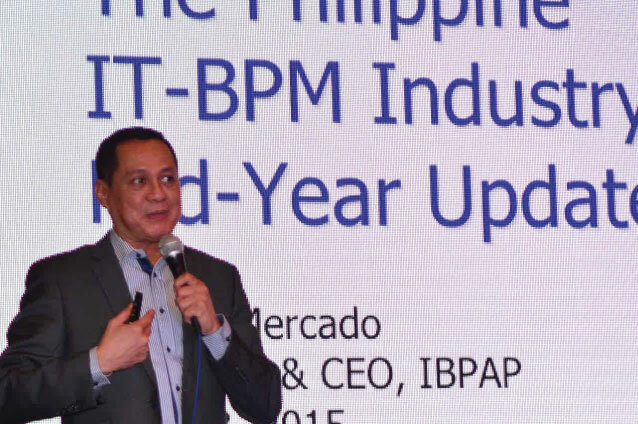 "More industries today are now going purely digital and we are expecting this kind of transformation among many more companies in the future", Lim adds. For the first time, through "The Power of X: Digital Multiplied", IMMAP fuses together other regular digital marketing conferences - the Mobile Marketing Summit, Digital Commerce Summit, and the IMMAP Summit - into one event, expecting to draw around 3,000 delegates from various industries across the country. 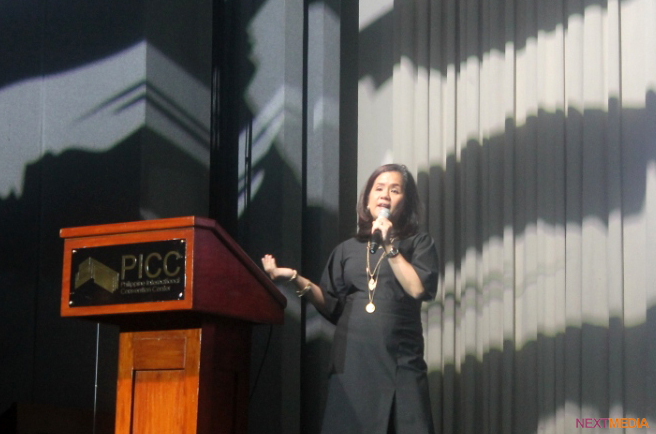 Lim says this congress will be 10 times bigger than before as IMMAP once again enjoins members of the Philippine digital marketing industry and demonstrates to them how brands can grow exponentially with the power of digital, multiplied. Why "Power of X"? Lim explains that "X" is one of the most powerful letters in the alphabet. It has many possible usages, but it also stands for the unknown. "When it comes to digital, it's up to you to determine what 'X' stands for. 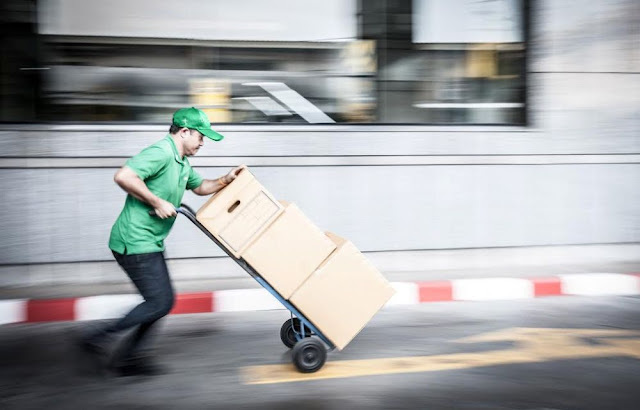 In many ways, digital is still misunderstood , and so it gets the 'X' mark or is crossed out of an advertiser's consideration list. How will you be able to amplify your brand in the digital space? It's for you to define your 'X'', he says. The IMMAP DigiCon will have 10 subject matter tracks and 10 speakers in each track, for a total of 100 speakers. The topics for the 10 tracks include "Branding and Marketing", "Content and Distribution", "Start-ups", "Creatives", "Social and Search", "eCommerce and Payment", "Marketing Technology", "CRM, Data and Analytics", "Research and Measurement", and "Media and Ad Networks". The likes of Dan Neary, Vice President for Asia of Facebook, Wendy Hogan, Head of Strategy and Marketing Transformation of Oracle, and chief executivesof local companies like Ernest Cu, CEO of Globe Telecom, Kenneth Yang, President and CEO of Golden Arches Development Corp., Fred Uytengsu, President and CEO of Alaska Milk Corp., will be on hand to speak during the plenary sessions. Meanwhile, Sunita Kaur of Spotify, Anna Liechtenstein, Global Chief Startegy Officer of Havas Media, Paul Azzola, COO of PayMaya Philippines, Guy Hearn, Chief Innovation Officer of Omnicom Media Group, Simon Kahn, Chief Marketing Officer of Google Asia Pacific, Gwendolyn Regin, Head of Strategy and Business Development of Asia Mashable, and Sandhya Devanathan of Facebook SEA,to name a few, will be among the 100 speakers expected to provide the learning and sharing of knowledge on digital marketing in the 21st Century. "Trust is earned, not given... CNN Philippines will continue to provide information you can trust on TV and digital platforms." ""Creativity offers us the ability to reduce, the ability to get things down to the simplest possible form. Creativity demands simplicity. You cannot be creative unless you make things simple." "Digital is the only type of medium that allows you to react as fast as you get the message." The first "IMMAP DigiCon, The Power of X: Digital Multiplied", will be held on October 10-12, 2016 at the Philippine International Convention Center, Vicente Sotto Street, Cultural Center of the Philippines Complex, Pasay City. 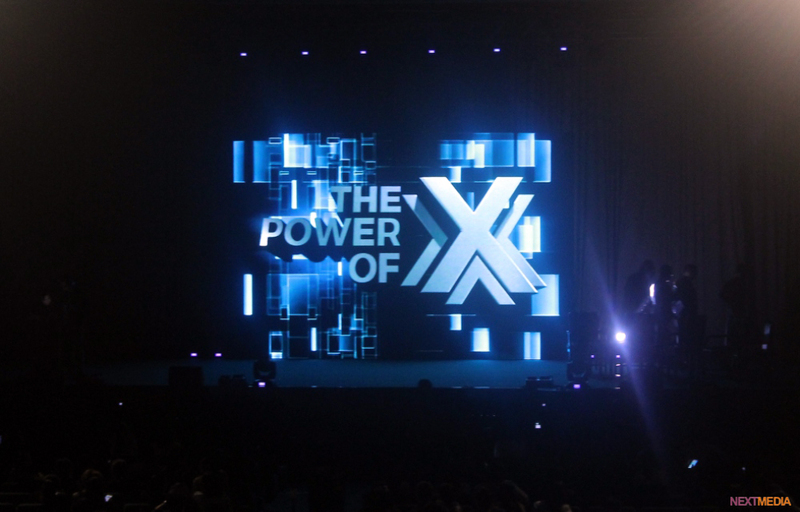 For more information and registration details, go to www.immap.com.ph or www.powerofx.ph. 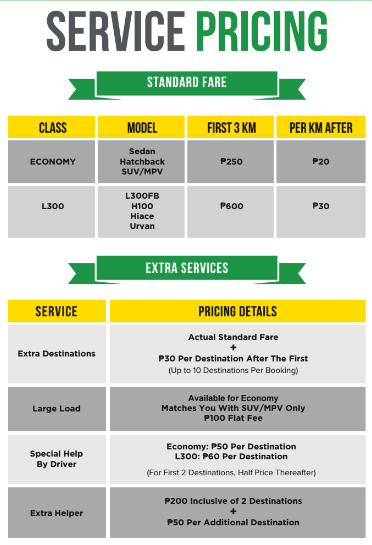 Also, visit Facebook page, www.facebook.com/immapPH/ and Twitter, @immapPH.